We know that your business and running it is very important to you. 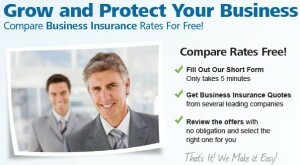 It is also important to minimize your risk exposure and properly insure your business. As an owner of a business you face several tough challenges every day. Make sure your business is adequately insured today and tomorrow. Like you, the business owner, our business insurance specialists are business owners also and understand the importance of developing one or more plans for continued financial security and ongoing operations. Our business and commercial insurance brokers will always work with you to determine the right blend of insurance products for you and your business. We offer help with commercial auto, transportation and trucking, large buses, fleet vehicle insurance, multiple contractors coverage types, general liability, property and liability, inland marine, business flood insurance protection and mobile property just to name a few. Commercial insurance quotes from our commercial brokers. Request that one of our multi-state licensed experienced brokers contact you below to help insure your business.